This week has been filled with a plethora of earnings reports, and of course a long list of companies joined in the fun Friday morning, just before the markets opened and in the first few minutes after the opening bell. There were so many companies, in fact, that we’ll need to make a couple of different posts. First, we’l do the “gold star” post, which recaps the earnings reports of those companies with at least $1 billion in market cap that posted EPS and revenue numbers that exceeded analysts’ expectations. We’ll start with the largest cap companies and work down. 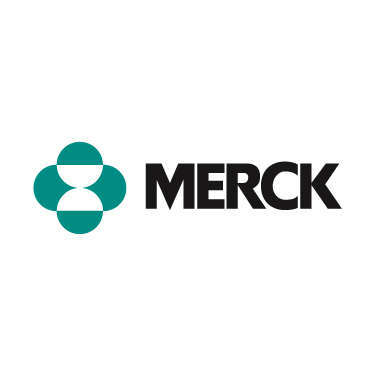 Merck & Co., Inc. (NYSE:MRK) posted a quarterly EPS of $1.05 and revenue of $12.3 billion, which topped estimates by 3 cents and $140 million, respectively. The stock is up more than 3 percent as a result, to $44.75 a share. Aon PLC (NYSE:AON) posted an EPS of $1.02 and revenue of $8.2 billion in the last quarter, topping analysts by 1 cent and $70 miillion, respectively. The stock is up more than 5 percent, past the $48.75 mark. DTE Energy Company (NYSE:DTE) reported an EPS of 86 cents and revenue of $2.03 billion. Estimates had those numbers at 69 cents and $2.00 billion. The equity is up more than 2 percent, nearing the $61.50 mark. Helmerich & Payne, Inc. (NYSE:HP) recorded a $1.38 EPS and $840 million in revenue for the quarter, blowing past estimates of $116 and $780 million. The stock is up more than 3 percent to about $47.20. Newell Rubbermaid Inc. (NYSE:NWL) reported quarterly EPS of 47 cents with revenue of $1.2 billion. The revenue number was in-line with estimates, while the EPS beat by 2 cents. The stock is up 2.5 percent to $18.15. Omega Healthcare Investors Inc. (NYSE:OHI) reported funds from operations (FFO) at 53 cents per share and revenue at $83.8 million, which beat estimates by 2 cents and $2.9 million, respectively. The stock is up 1.1 percent this morning to $23.80 a share. Forum Energy Technologies, Inc. (NYSE:FET) posted EPS of 49 cents and revenue of $374 million, which topped analysts by 2 cents and $6 million. The stock is down more than 2 percent, however, to just above $20.25. Arch Coal Inc. (NYSE:ACI) posted an EPS of minus-10 cents, but that was 8 cents better than expected. Revenue of $1.06 billion beat estimates by $90 million. The stock has taken flight, up more than 11 percent to $5.85.